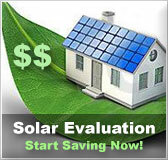 Texas residential solar energy incentives | Solar Panels | Solar Power | Site Map | Bookmark This Site! The amount of the appraised property value that arises from the installation or construction of a solar or wind-powered energy system or device is allowed to be tax exempted by the Texas tax code. An “Exemption Application for Solar or Wind-Powered Energy Devices” form must be filled out by those who wish to claim this exemption. This program is available to residential customers of Green Mountain Energy Company who purchase electricity under the company's Renewable Rewards product. The arrangement requires the customer to enter into an interconnection agreement with their electric distribution utility (not Green Mountain). The customer must work with their utility to install a meter capable of separately measuring the flow of electricity in both directions. 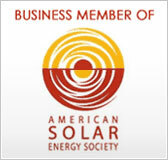 Solar energy systems are eligible for incentives under this program. The program supports systems of 25 kilowatts or less. 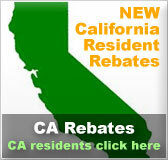 The Renewable Rewards Buy-Back program is similar to net metering. The customer pays Green Mountain the retail rate charged under program for all the electricity they consume from the grid during a month. Any excess energy produced by the customer’s system that is exported to the grid (NEG) is metered separately and the customer's account is credited the following month for the exported energy up to 500 kilowatt-hours (kWh) per month at the retail rate. Renewable Rewards retail rate is the first 500 kWh per month. The state of Texas has many utility rebate programs available for municipal residents and customers provided by specific utility companies. Information and details on all the different programs are available on the internet. 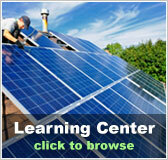 Most of the rebate programs are for Solar PV and Solar water heating systems. Photovoltaic incentives are typically determined by a per-watt AC basis. Austin Energy will provide net metering for customers with solar systems. Any net excess generation at the end of each month will be credited to the following month's bill. The credit will be less than retail value and will be calculated by multiplying the net kilowatt-hours (kWh) of electricity fed into the grid times the current fuel charge.